Rockers The Killers have earned their very first No. 1 Album on the Billboard 200 Albums Charts with their 5th studio album, Wonderful Wonderful. It took them more than 13 years after their debut (Hot Fuss) to reach the top spot but finally they did it! Wonderful Wonderful sold 118,000 equivalent album units in its first week! Congratulations! At No. 2 we have Macklemore with his second solo album, GEMINI, selling 51,000 units and dropping to No. 3 we have Lil Uzi Vert’s Luv is Rage 2 with 45,000 units. 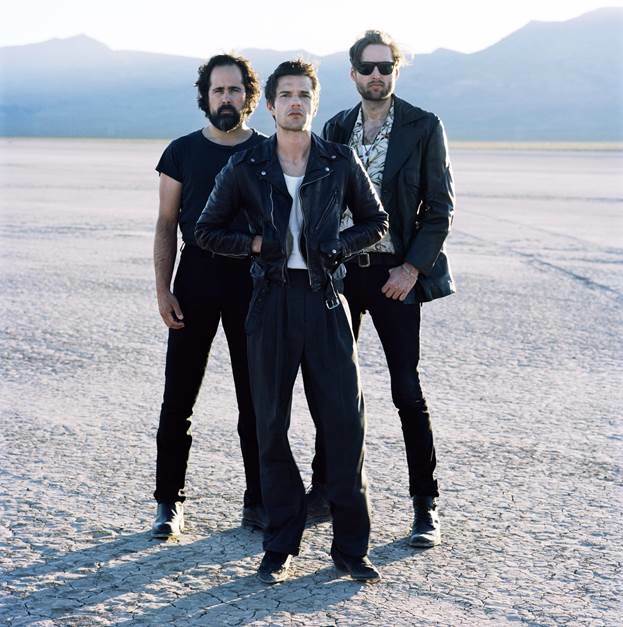 Os The Killers conquistam esta semana o seu primeiro álbum #1 nos EUA com Wonderful Wonderful a entrar diretamente para o topo da tabela com 118,000 unidades vendidas. Eles demoraram mais de 13 anos desde o álbum de estreia, Hot Fuss, para atingirem o topo da tabela. Parabéns!! A entrar no #2 temos GEMINI de Macklemore com 51,000 unidades e a descer para o #3 temos Luv is Rage 2 de Lil Uzi Vert com 45,000 unidades.